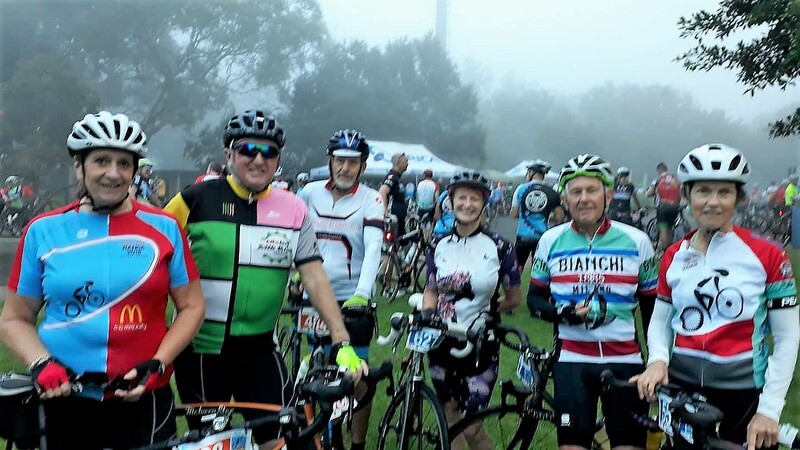 Ian and Judi Donald, Roy Yeales and June Grimmett are part of a group of friends from Tin Can Bay and Cooloola Cove who cycle together on a regular basis. Each week the group schedule two rides, confirming a starting place and destination via email. “Every Wednesday we ride from Tin Can Bay to Rainbow Beach picking up riders from Cooloola Cove on the way. We enjoy a well-earned coffee and breakfast in Rainbow Beach followed by a return ride to Tin Can Bay,” Judi said. On the weekend, the group organise an early morning loop circuit around Cooloola Cove and Tin Can Bay, cycling along Rainbow Beach Road from Queen Elizabeth Drive towards Tin Can Bay. Roy and Ian are often on the lookout for organised rides that are challenging and not too far away. So “Ride the Range” in Toowoomba meets both those criteria and has now become a regular annual ride. 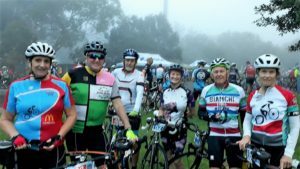 Held in March, it offers four rides for all ages and abilities helping Rotary Club of Toowoomba raise over $175,000 in the last six years. The cycle up Cooloola Drive has proved an excellent training ground. This will be the fourth year Ian Donald and Roy Yeales take part in ‘Ride the Range’ in Toowoomba. They participate in the ‘Down to Earth 85’ ride, an almighty challenge of five-plus hours cycling. Starting at Picnic Point, they swoop down into the valley, then finish with a final climb via Blanchview Road back to Picnic Point. Judi and June will also participate in ‘Ride the Range’ this year, their second year in the event in the ‘Nifty 50’ ride. They start at Picnic Point, ease down the range, meander along the back roads of the Lockyer and take in the scenery, but it is still two hours-plus riding! After discussing the “Ride the Range” event over coffee with other cyclists, another two riders from Tin Can Bay will be taking part this year. “Other members of our group have ridden across the UK, Europe, Vietnam, Cambodia, Peru, Canada, New Zealand and other parts of Australia,” said Judi. Cycling with the group is not only a fantastic way to get out and about and increase your fitness; it is also an excellent way to meet new people with similar interests.